With the summer months upon us and the warm weather here to stay, it’s an ideal time to begin exploring the popular, versatile, Sauvignon Blanc. The perfect warm-weather wine, Sauvignon Blancs range in flavor from grassy to mineraly to fruity. An alternative to the popular Chardonnay, the variety is starting to gain a footfold in some unlikely places. In celebration of Colorado Wine Week, I decided to open and enjoy one of the states best, Canyon Wind Cellars. Founded in 1996, Canyon Wind Cellars sits 4700 feet above sea level, in the Grand Valley AVA (read more here). The estate Sauvignon Blanc is from the Cliffside Vineyard planted in 2001. Whole cluster pressing and fermented in 100% stainless steel. 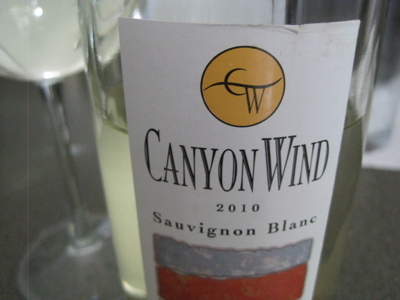 The Canyon Wind Cellars 2010 Sauvignon Blanc starts off with a blast of lemon zest. Crisp and refreshing, floral, grassy and lemon notes display prominently on the palate. A “European-esque” Sauvignon Blanc. At $14.95, Canyon Wind Cellars once again delivers a great value and perfect pairing for the summer months. Cheers! That sounds great–we took our food blog to Colorado last week and had a bottle from Snowy Peaks–the winery’s in Estes Park but the grapes I believe are from the Grand Valley AVA. Very good. I enjoy reading the blog. Lately, I’ve been having much better luck with the CWC reds. They’ve been standout wines while the whites have led to a little bit of a disappointment — or at least a drop off from the bigger wines they have. 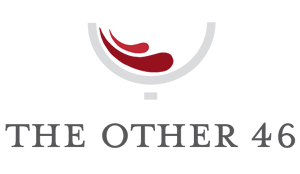 Jake I have to say that I really agree – we really started with the goal of being a red wine winery and now that I have taken over the business I hope to focus us more on that. Of course the problem is that you get devoted fans for the whites and they sell so it feels mean to cut them off! First, thanks for stopping by to comment (hoping to see you both this month in Virginia at WBC). I agree with Jake, I’ve always thought your reds were the standout wines. That said, I believe your Sauvignon Blanc has great potential. I’m also in the quality over quantity camp. Not saying a winery can’t be successful with a large program, but I tend to gravitate towards those that focus on a few grape varieties. My recent trip to Virginia solidified my feelings even more (posts coming soon). Nonetheless, keep up the great work and can’t wait for the 2012 DrinkLocalWine.com conference to finally shed a much deserved spotlight on Colorado wines. Cheers!